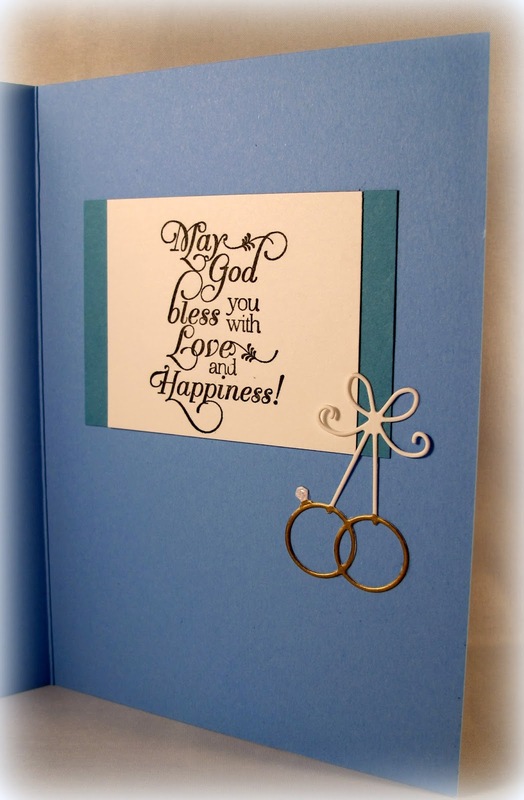 Darlene with you today and I have a fun wedding card to share! I've recently gotten into the habit of making a quick cut with any of the new dies I purchase, just to see what they look like cut out. Today's card was a QUICK put together since everything on it had been cut in advance and laying on the craft table. I love how this Woodland Oval die cut turned out! Since the 'center' actually cuts out, I was careful to position the die so that half of it was on the lighter portion of the scrap piece of design paper I was using ... and the other half was on the darker shade. Then, once cut, I simply TURNED the inner oval and glued it back inside the outside decorative oval. Such a versatile die! Three different uses ... both pieces together or each piece individually. I love when you have that option with ONE die! It gives you that opportunity to utilize different techniques as I've done using the 'turned center technique' on my card today! EDIT: After writing up my post on this card, I finished the inside and would like to share it with you. 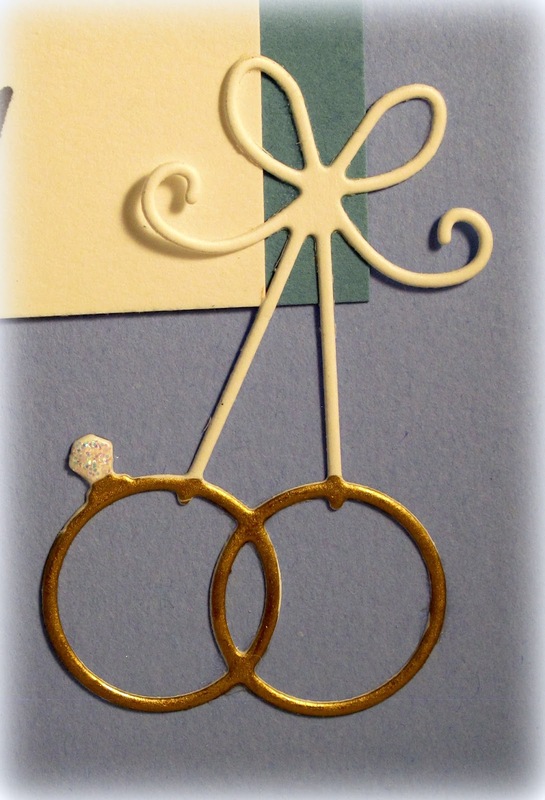 I thought the Memory Box 'Precious Wedding Rings' would be the perfect added touch! Be sure to pop over to the Dies R Us Store and check out all the amazing dies available in one convenient location. The selection is amazing as are the shipping costs. 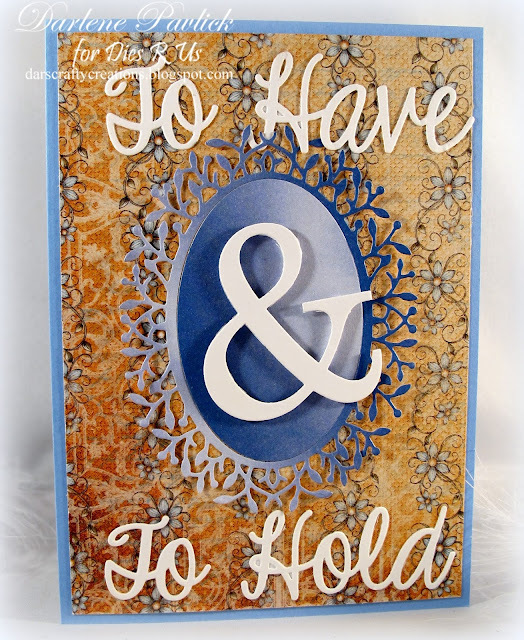 And, don't forget to come join in the fun at the Dies R Us Challenge Blog. A new challenge goes live on the 1st and 15th of each month! YOU could be the next winner of a Dies R Us store gift voucher! !